The Rebel Sweetheart. 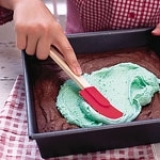 : Foodie Goodie | Chocolate Mint Brownies. Thinking of giving food gifts for Christmas? That's a great idea too, as long as it's not the traditional fruit cake - which most people hate anyway. 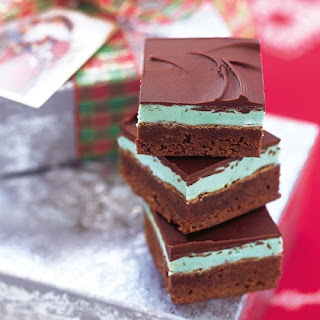 If you're baking for the holidays, here's a gift idea that you can try - Chocolate Mint Brownies! They're quite easy to make, and yummy, too! Definitely a better and tastier alternative to stale bread soused with candied fruit and rum. 1. Heat the oven to 350º and grease a 9-inch square baking pan. For the brownies, place the butter and chocolate in a microwave-safe bowl. Microwave on high for 1 minute, stir, and microwave for 1 minute more. Stir until smooth. In a separate bowl, whisk together the sugar and eggs. Stir in the chocolate and the vanilla extract. Finally, stir in the flour and salt until thoroughly combined. Pour into the prepared pan, then bake for 25 minutes or until a knife inserted in the middle comes out clean. Cool for at least 1 hour. 2. To make the mint frosting, cream the butter and confectioners' sugar. Add the milk 1 tablespoon at a time, beating until it is smooth and spreadable. Beat in the peppermint extract and tint to the desired shade with green food coloring. Frost the cooled brownies, cover, and chill for 1 hour. 3. To make the chocolate topping, pour the chips into a microwave-safe bowl, add the butter, and microwave on high for 1 1/2 minutes or until the chocolate melts. Stir until smooth. Pour the chocolate over the brownies and smooth it with a knife. Refrigerate for 45 minutes or until the coating hardens. 4. Bring the brownies to room temperature, then cut into 16 to 32 pieces. Layer them on a piece of cellophane; remember to place waxed paper between the layers to prevent sticking. 5. Wrap the brownie package and tie with a ribbon (red or gold would be best). As seen on Spoonful. 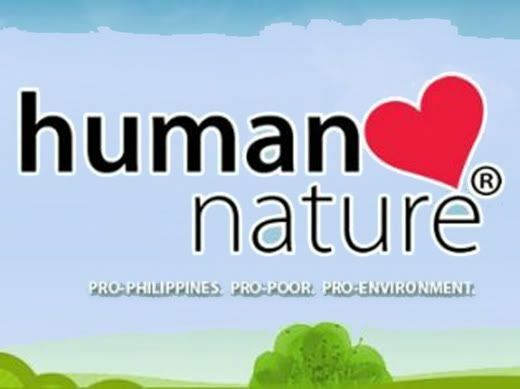 Shared with Food Friday, Food Trip Friday, Heavenly Treats Sunday. Oh, this looks so yummy! I am saving this recipe...thanks for sharing! This does look yummy. It made my mouth water. I haven't made brownies before. Yum, these look delish. I love a good mint/chocolate combo! Yum, these look delish! I love a good mint/chocolate combo. This is terrible - it will make me cry! Looks so delicious but I am on a weight loss challenge and I can't have it! I love anything chocolate mint! Thanks for sharing! i love mint and chocolate. this looks delicious! That's a cool holiday treat, looks delicious! I really like chocolate when it comes with mint as the contract in taste is really a treat for the taste buds. I bet these are good. I love those Andies chocolates that look like that. Looks appetizing and awesome. Great recipe for people with sweet tooth like me! Love that chocolate bars, perfect for giveaway. great idea! mas matipid and mas thoughtful cause its handmade <3 cooked from the heart pa! Mint and chocolate are a match made in heaven. I'd choose those brownies over fruit cake on any given day. Thanks for sharing the recipe. yummmy, i love mint and choco mix! this is perfect as gifts, too! Oh wow, looks so good! I love the mix of chocolate and mint! Mint and chocolate is my favorite dessert combo :) My mom baked something like this before and it was a hit in the family!